As always, click in for more detail. Lovely capture, love the lighting, really shows of the poppies elegance, well done ! Thank you and for taking the time to comment. It does look as if you are in the middle of it – how tall were they? Beautiful shot of these. I’m glad you got a sense of being in the middle of them, some were about 70 cm (27 inch). It is a really busy garden and I had a few odd looks as I tried to get the angle I wanted! Glad you got the shot you did. They were big! You must still have the smell of the earth in your nostrils. Great angle. Thanks Jude, although it feels like winter is back today! The perspective does make them tall! and oh so beautiful against that sky. Wonderful! Love that you have incorporated the sky into this shot. Gives a real sense of the tallness. 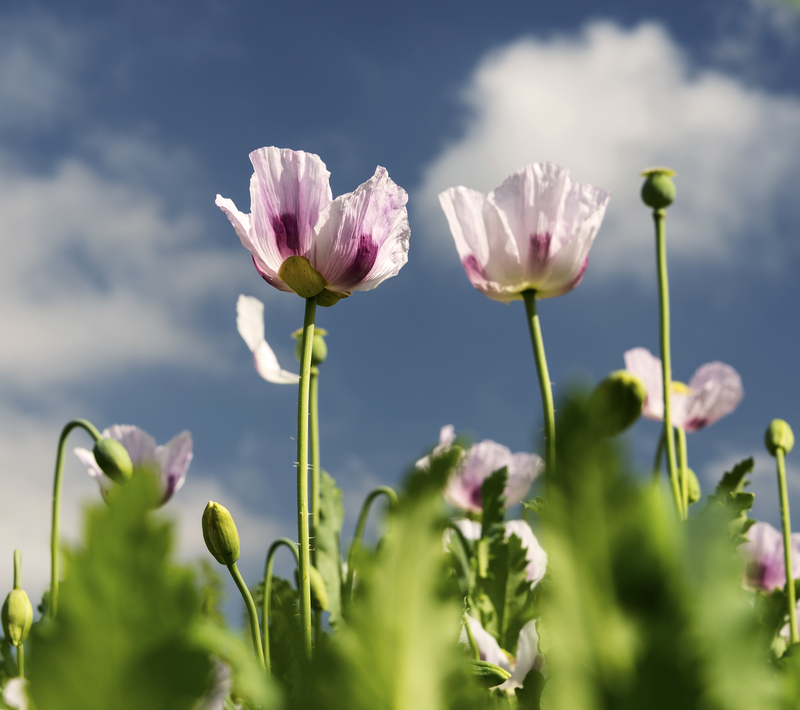 Poppies are one of my faves… Love this shot and fantastic pov! !